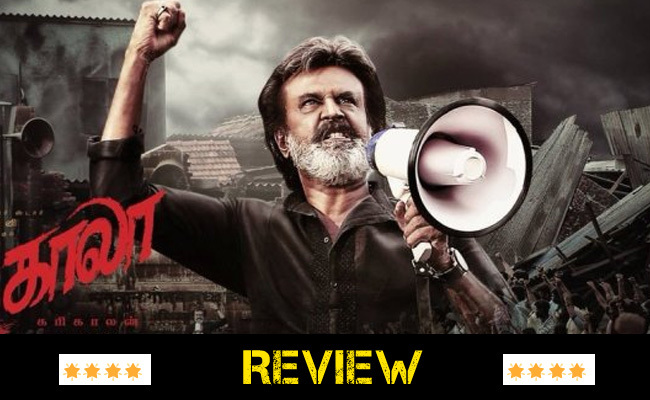 First review of Rajinikanth’s ‘Kaala’ is out. Famous entertainment journalist published the first review of the movie through twitter few hours ago. Umair Sandhu who watched the premier show of movie in Dubai rated Kaala 4 out of 5 stars, that means the movie is a blockbuster. Umai Sandhu writes that the film is about the expectation of the audience. The best Tamil film to catch audiences every scenes, even without a boring second. Sandhu wrote that Rajani is genuine superstar and P Ranjith is truly a showman. There is no other movies of Rajinikanth to compare with the look & styles of ‘Kaala’. Ranjith has been able to bolster the image of the superstar, which has been approached by the newer multiplex audience. The effect of Rajaji is on each frame. It was a revelation in time, he added.